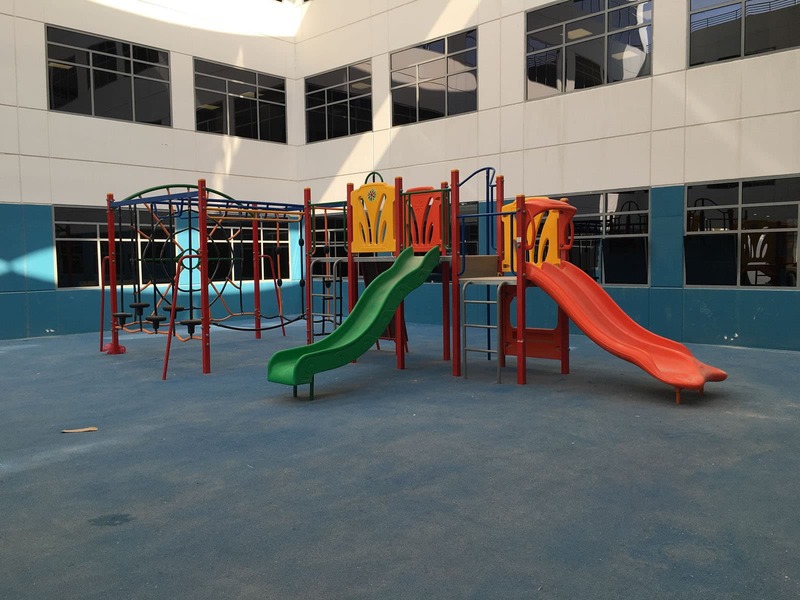 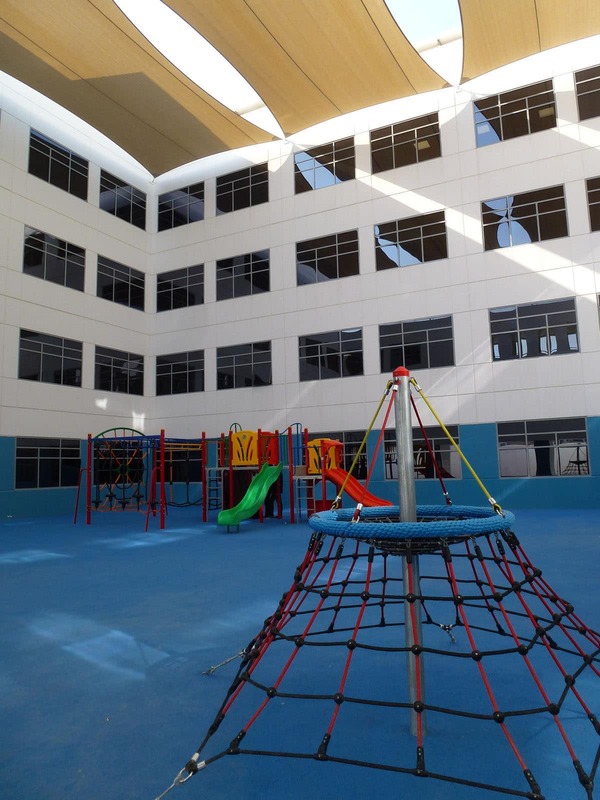 Opening in September 2016, Al Barsha’s GEMS Founders School is part of a family of international schools that pursue excellence in education, ensuring that it’s accessible for children everywhere. 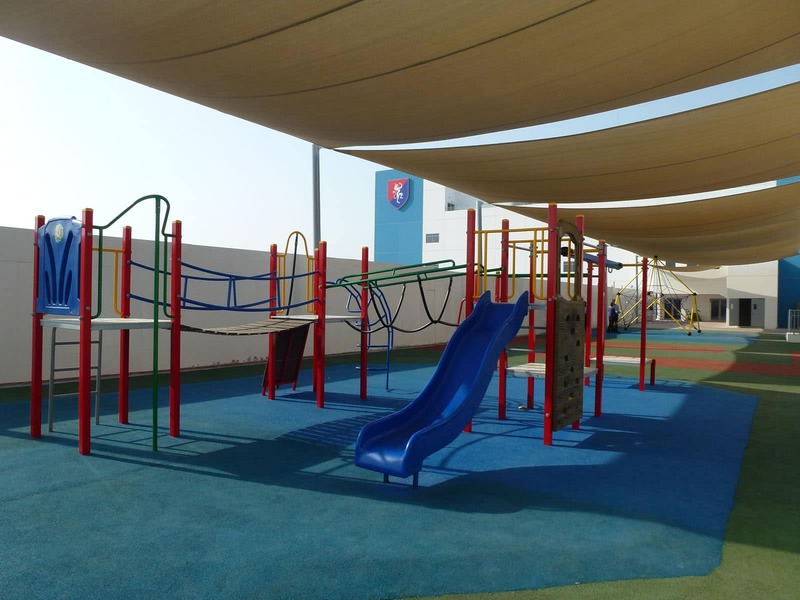 In planning its new grounds, the school had a clear priority from the outset: injecting fun, play and exercise to help shape well-rounded learners. 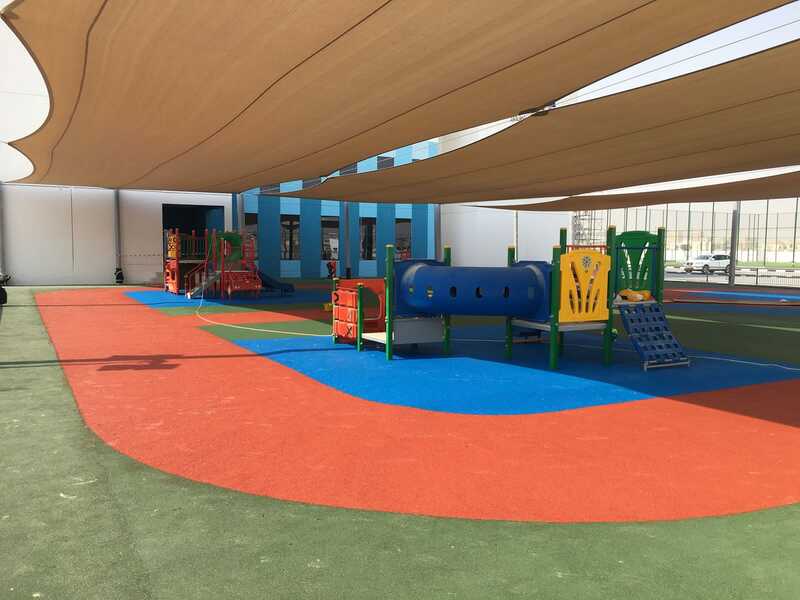 It also faced two key challenges in choosing the best equipment: a broad range of users (from 3 to 11 years old) as well as Dubai’s tropical desert climate, with extreme heat and humidity. 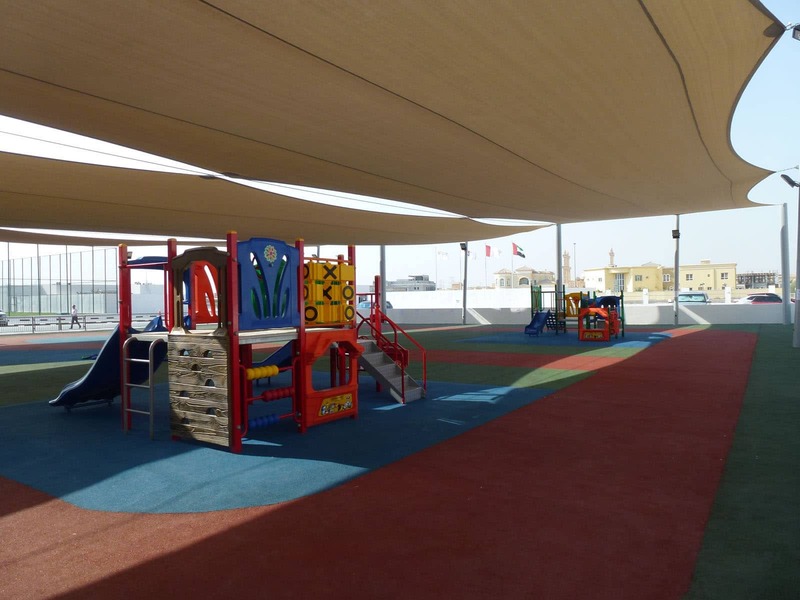 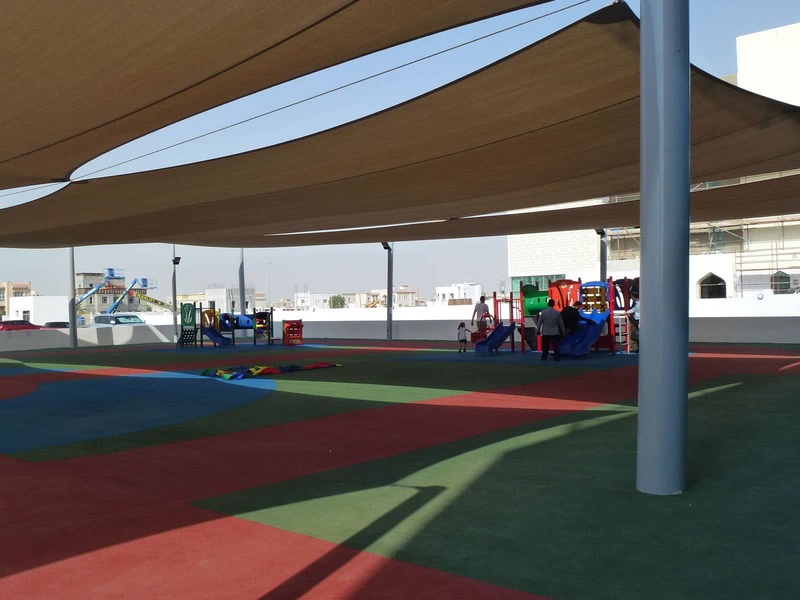 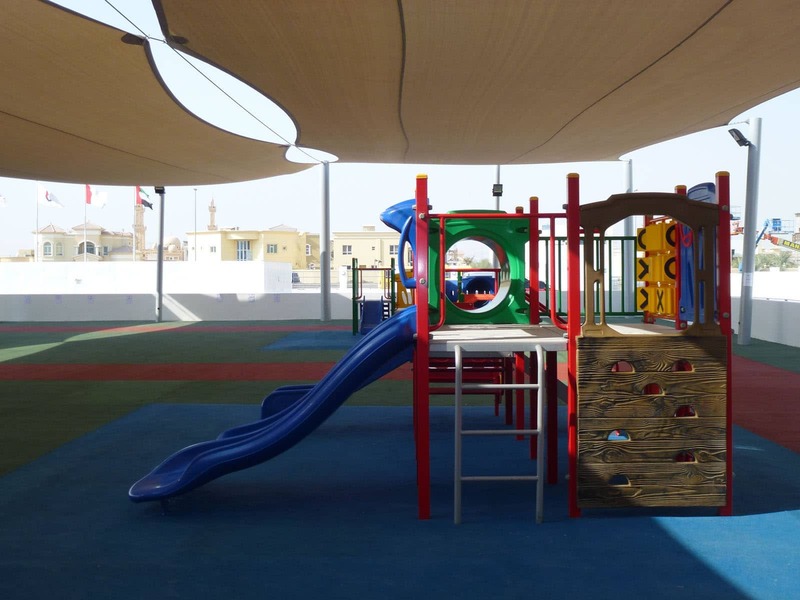 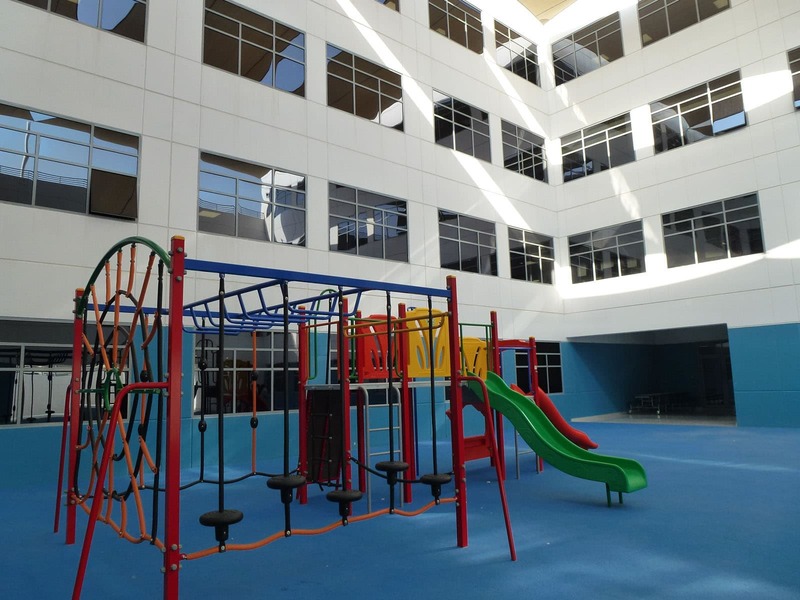 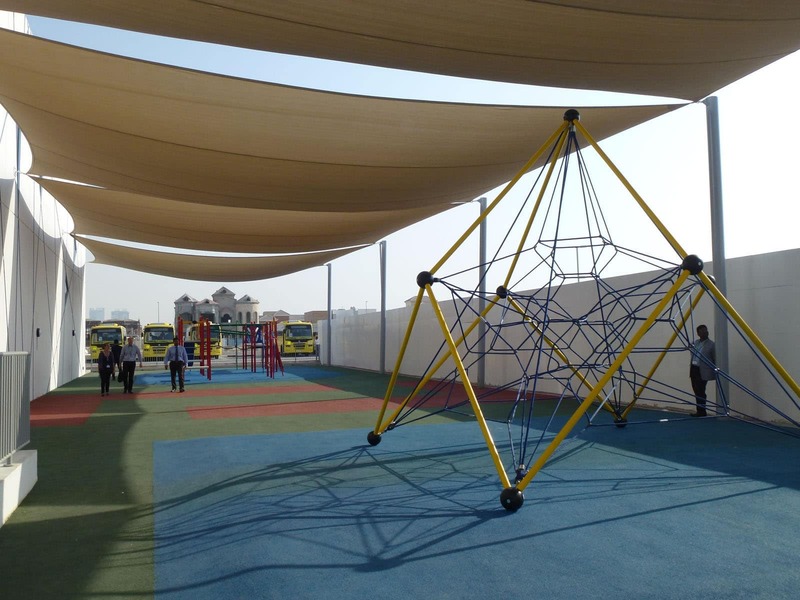 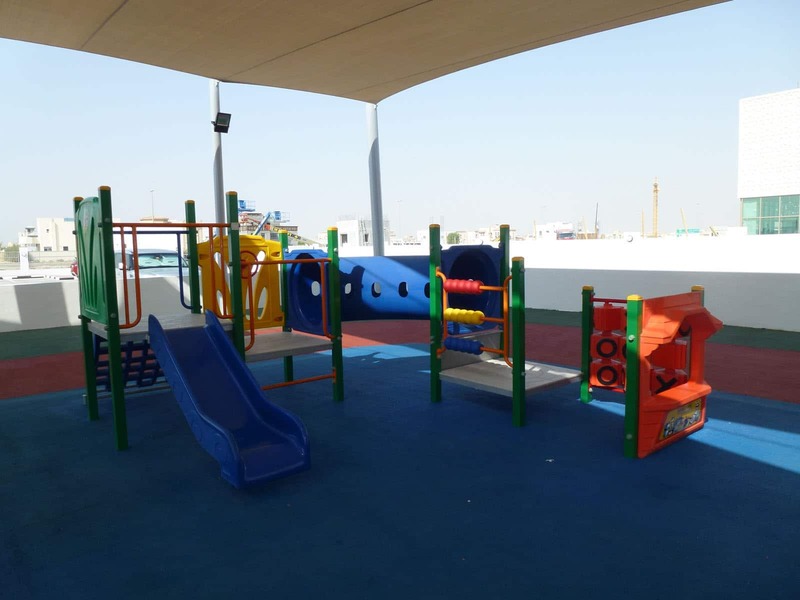 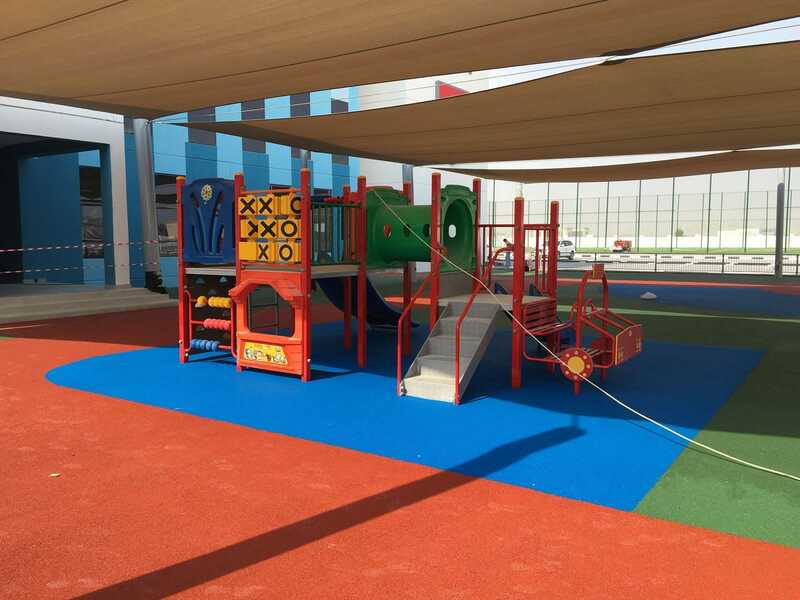 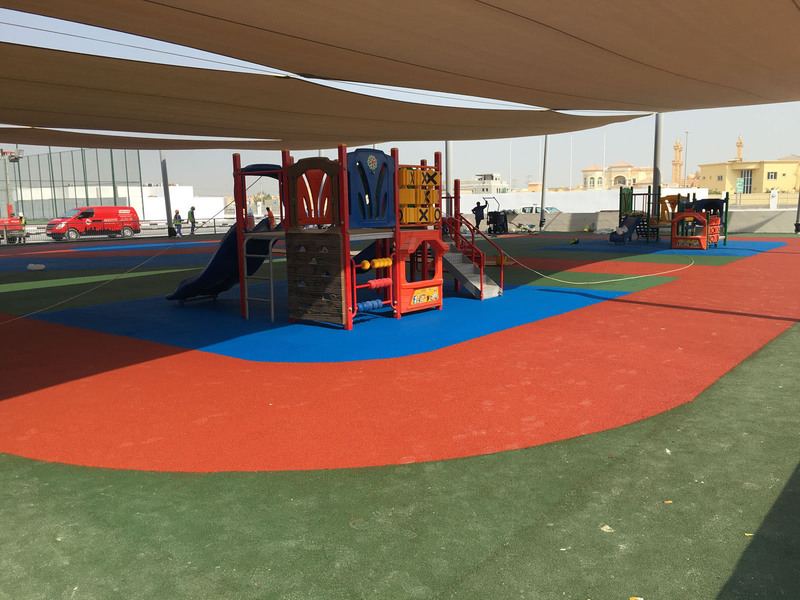 Set under a huge shade sail and on colorful surfacing, the playground is a world of choice for students of all ages and abilities. 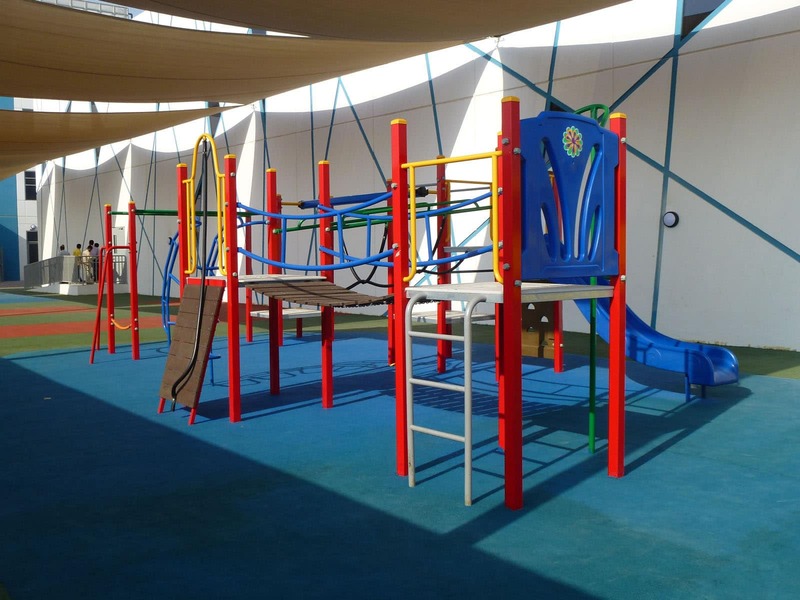 Foundation students (3–4 years old) have two fantastic play units to choose from – with low platforms, imaginative role-play options, bendy tunnel, slide, and movable learning aids. 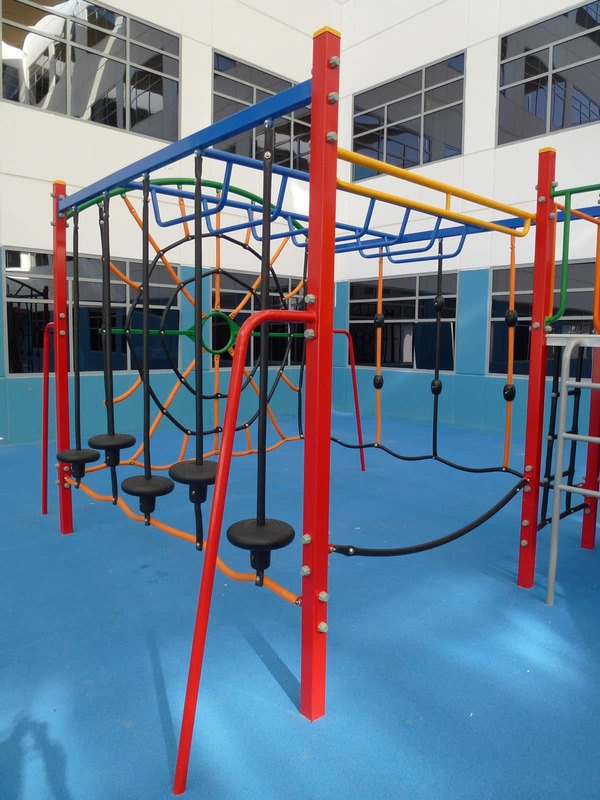 A bigger, all-ages module accommodates around 30+ users at once! 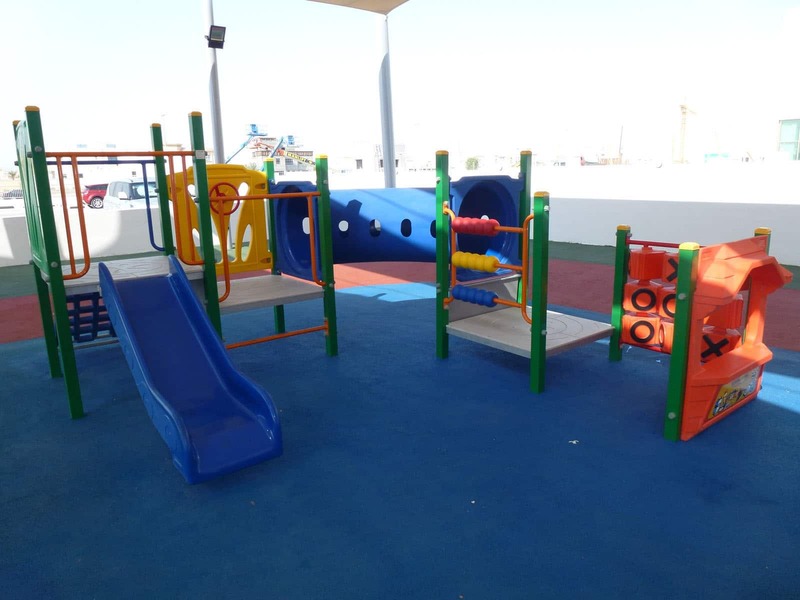 Starting with a ground-level shop counter for the littlies, it has different platforms and slides for different ages – as well as balance & coordination activities to challenge older kids. 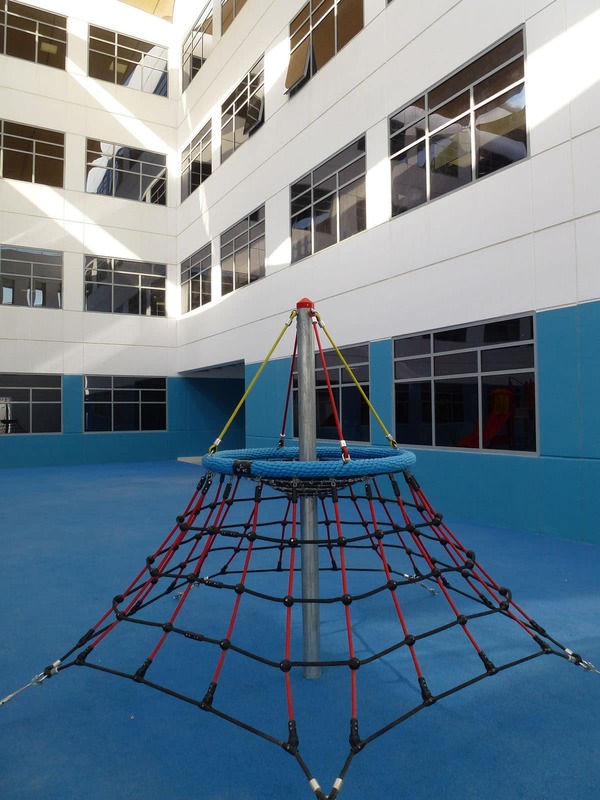 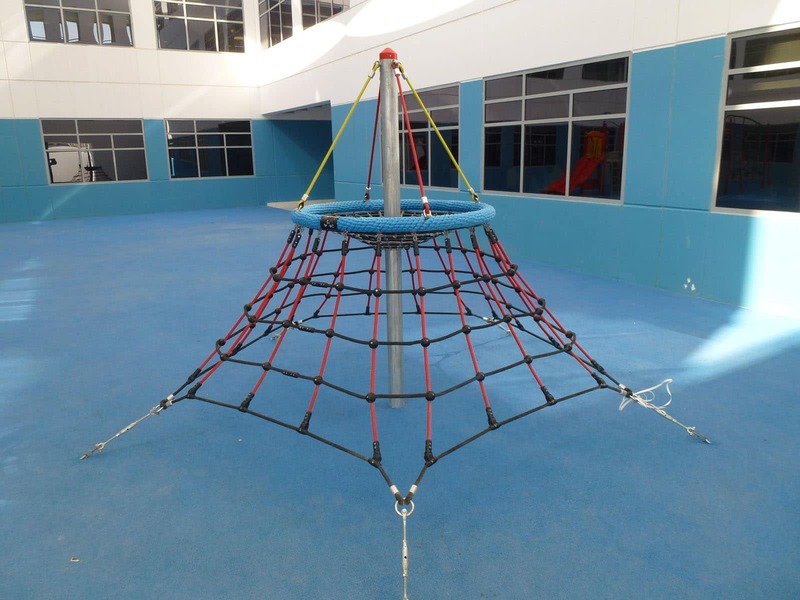 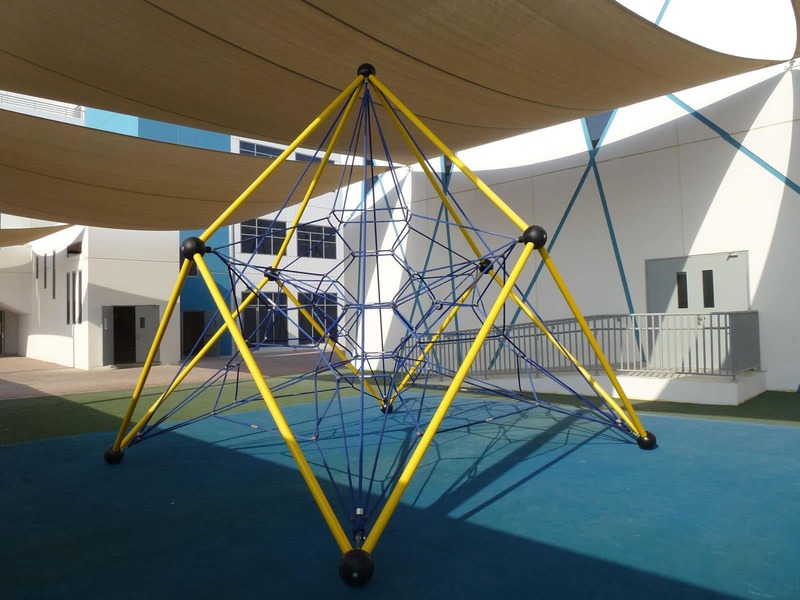 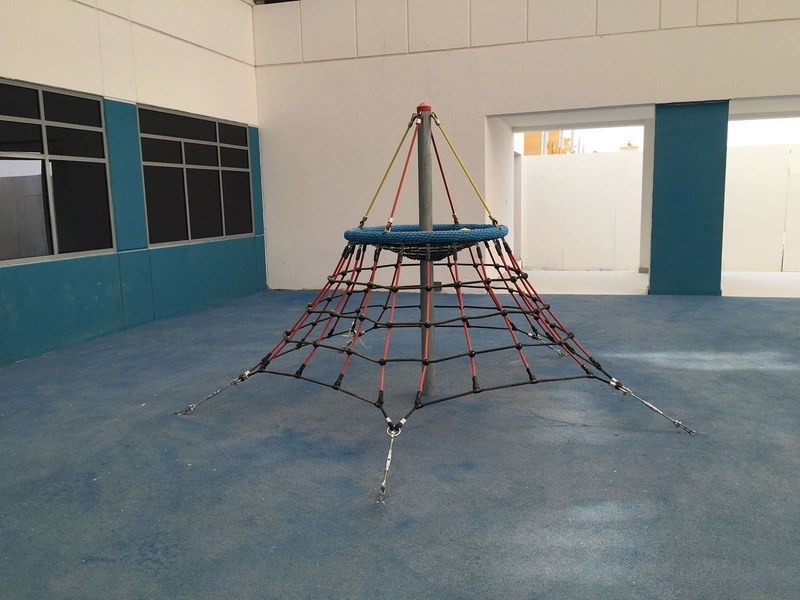 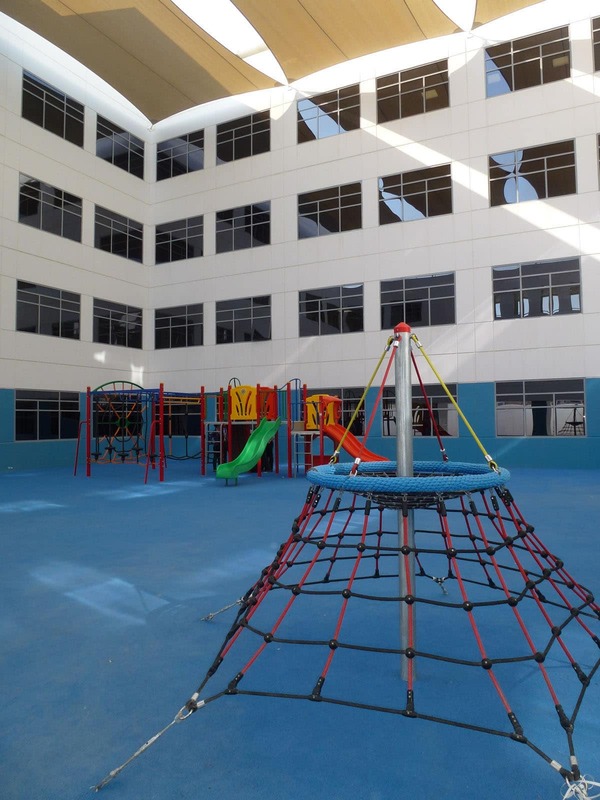 A 2.1-metre climbing star with basket and scramble net is great for the lower primary school children, while a 4.2-metre high net climber is an irresistible adventure for upper primary students. 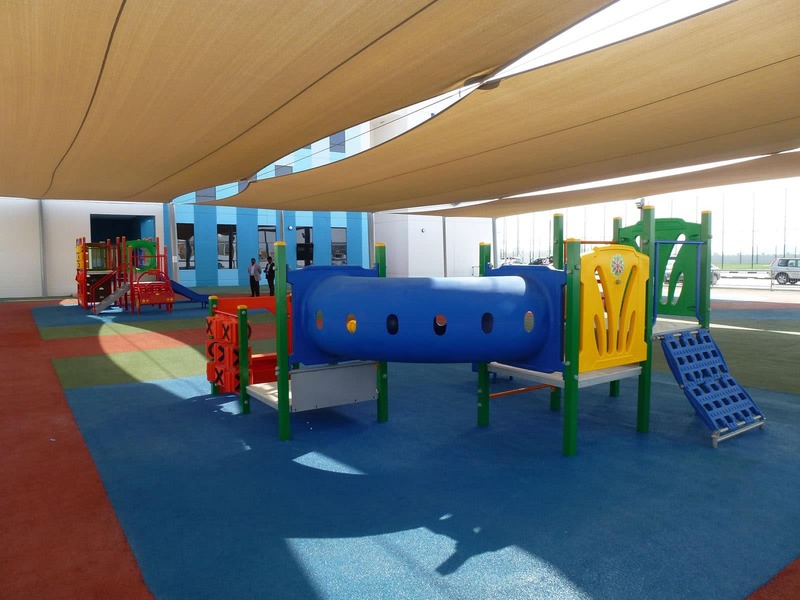 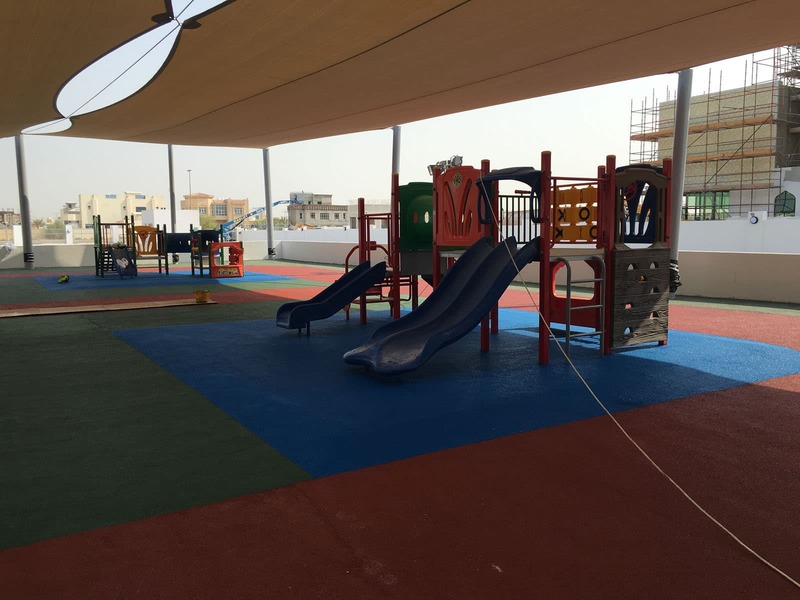 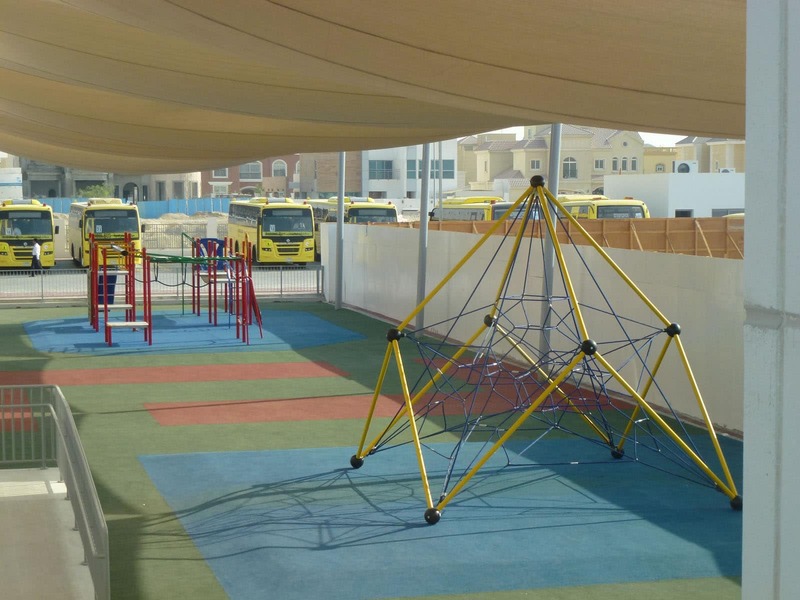 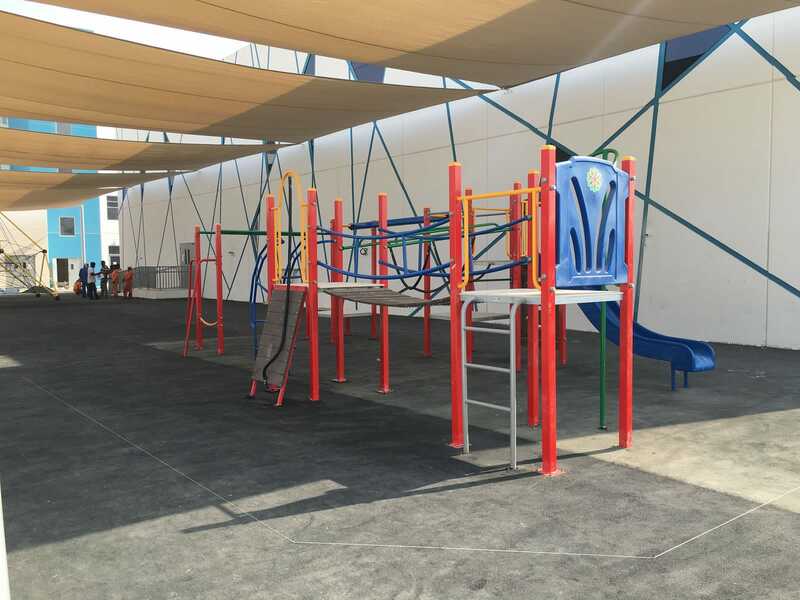 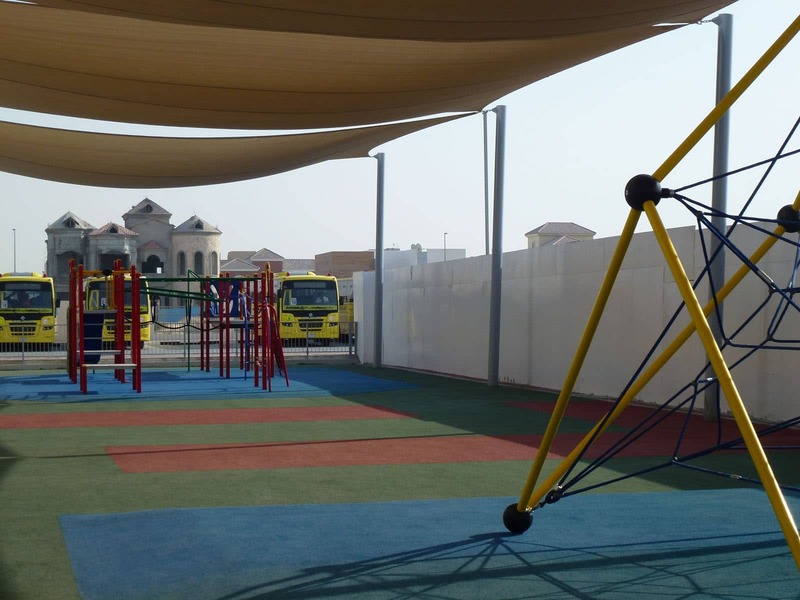 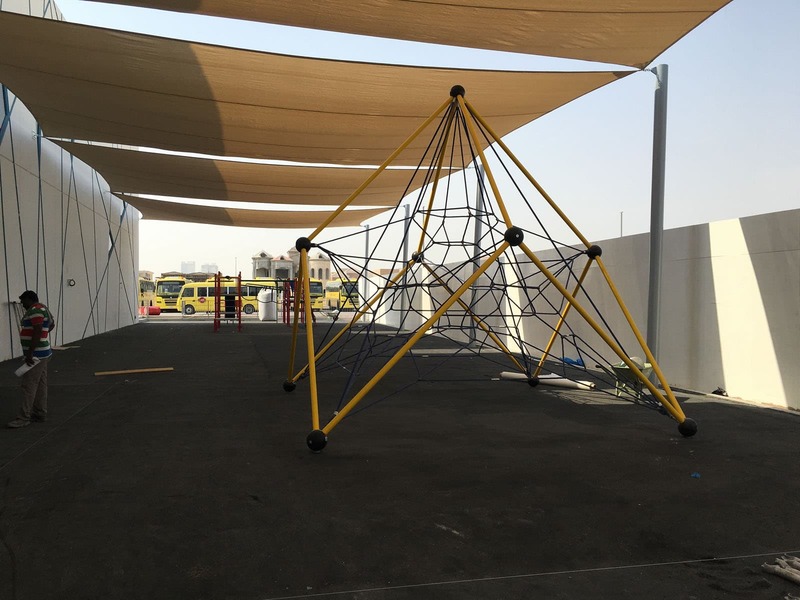 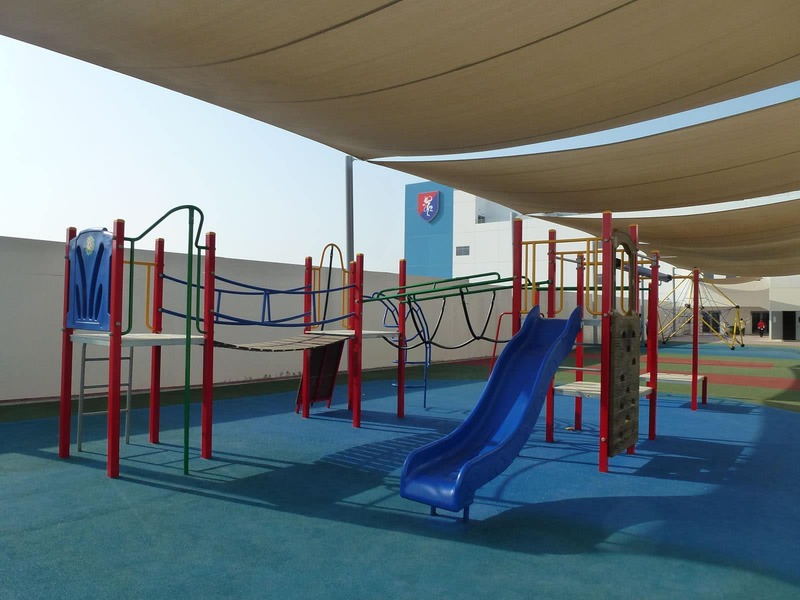 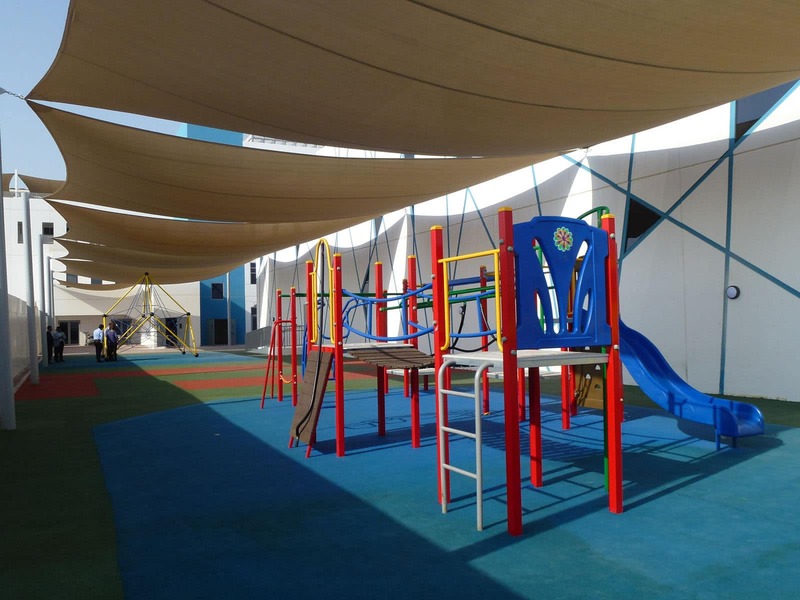 Finding the right equipment for different year levels was made easier for the school, with all of Playground Centre’s solutions targeting the development needs of specific age groups. 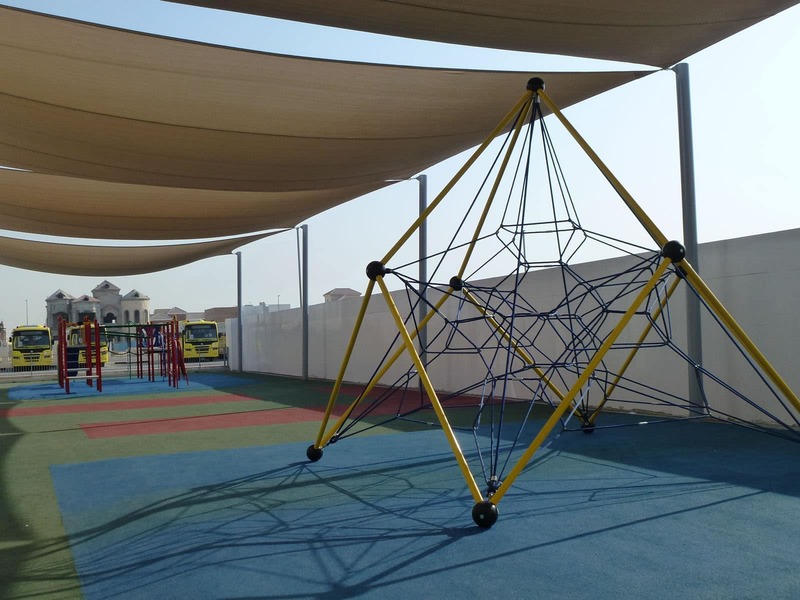 And with products designed to stand up to super-charged children as well as the wildest weather, they’re perfect for the Dubai heat.